of wind from the west." 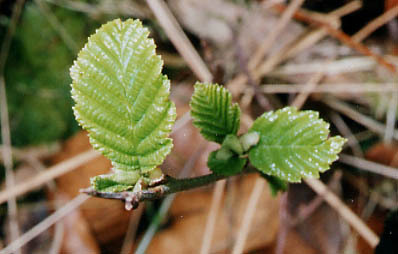 Beech is not a tree that is native to Devon or on Culm, yet it has come to take its place in the local countryside over the years. 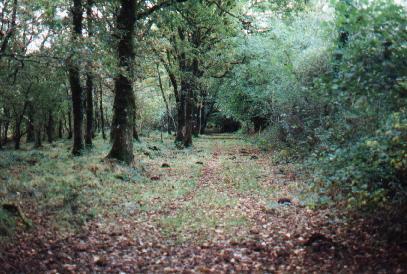 Saying that, there is one beech wood in Devon that is being preserved, because of the species that inhabit it. Most of our beech trees occur on the ride and we believe them to have been planted deliberately for ornamentation and to make an imposing entrance to the plantation beyond. 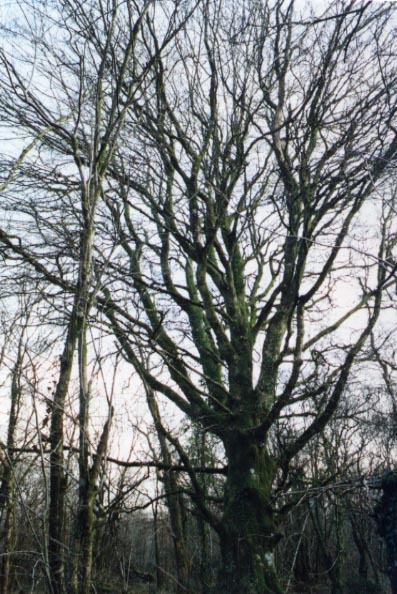 Very often beech was planted to make a shelter belt in places exposed to high winds. The fresh Spring growth is bright green and catches the sunlight, giving a sense of freshness after the long winter. 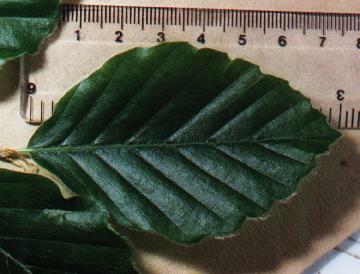 The leaf itself, when mature, is about seven and a half centimetres long. 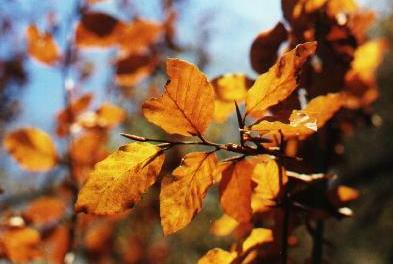 In Autumn the leaves change to a golden yellow colour before they turn brown. 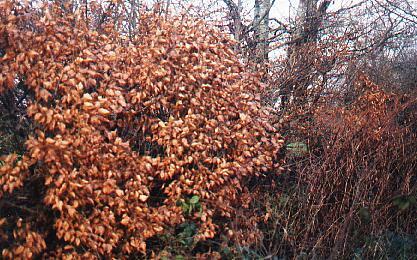 The beech is one of the last trees in the woodland to shed its leaves, which is why it's often used as a hedging plant in peoples' gardens. Here is part of the hedge near the gate at Quoditch. 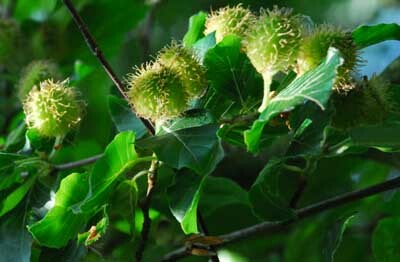 The seeds are known as beech nuts or, more commonly, beech masts. 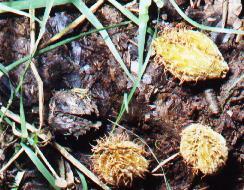 These were seen in June 2007 at the edge of Field Three. At the bottom of field six we have some beautiful large beeches. Sadly, many of them were toppled over in a north-westerly gale several years ago. However, this one still stands and is a magnificent sight even in winter. In 2009 our friend Jenny Russell helped us to measure it. We found it had a girth of 11"3 or 343cms at a metre high and 11"9 or 360cms. at about 2 metres high. 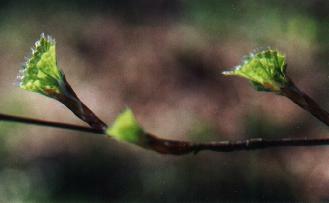 Here it is again in May, just coming into leaf.